Located in Goodlettsville, Long Hollow Chiropractic is committed to providing the highest quality Chiropractic care for Goodlettsville and Nashville area. Our purpose is to educate and adjust as many families as possible toward optimal health through natural Chiropractic care. Our friendly staff is professionally trained, and available to serve you. If you call to schedule an appointment, we can see you that very day. 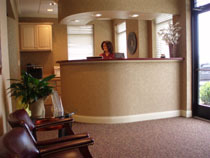 We always offer the initial consultation at no charge or obligation, to discuss your health care needs with the Doctor. Chiropractic is a hands-on, drug-free alternative healthcare choice for back pain management that has been around for over 100 years. Doctors of Chiropractic are nervous system specialists. The brain uses the nervous system (spinal cord and nerves) to control and coordinate all of the organs and systems in the body. The health of your nervous system is vitally important to the health of your whole body. Patients are evaluated in our office with examinations and x-rays to determine the health and efficiency of their nervous system. Once the condition of your spine is thoroughly evaluated, a unique care plan is designed for each patient to correct the subluxation patterns in the spine. The Chiropractor performs "Chiropractic Adjustments" to realign the spine and release nerve interference. This allows the flow of vital information through your nervous system to function optimally. OPTIMAL SPINE EQUALS OPTIMAL HEALTH.